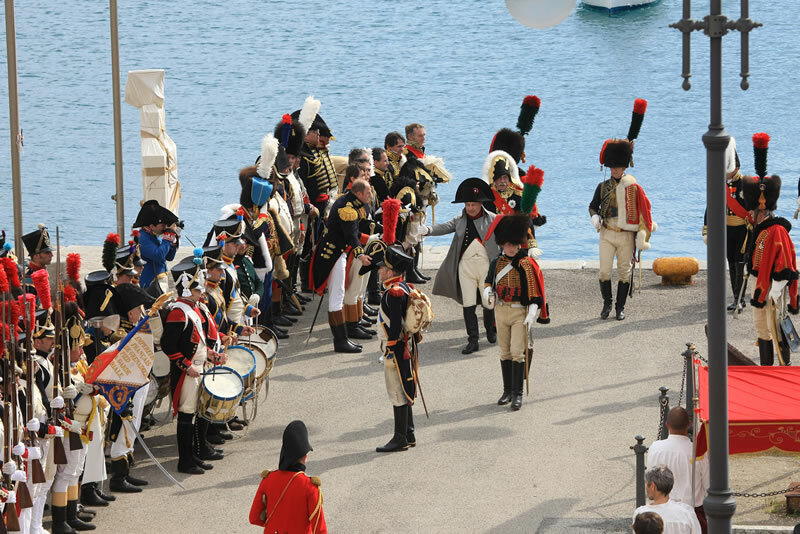 4 May 1814: two hundred years have passed since Napoleon set foot on Elba and raised his flag on the highest point of Portoferraio. A standard designed by the Emperor himself, and which remains the flag of Elba to this day: white with a red stripe, to which three golden bees were then added. 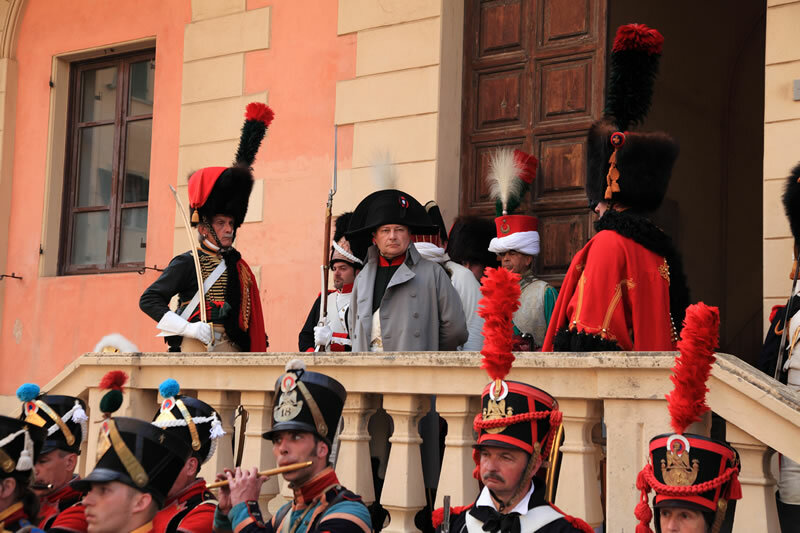 A very charismatic commander and leader, Napoleon suffered heavy defeats as well as victories, such as the disastrous Russian campaign and the defeat at Leipzig, and these led him to be exiled to the gem of the Tuscan Archipelago. It was on 31 March 1814 that the British, Prussian, Russian and Austrian armies entered Paris and forced Napoleon to sign the act of abdication from the throne of France and on 11 April, the treaty of Fontainebleau sent him to Elba and gave him an annual pension of two million Francs, which in truth he was never paid. 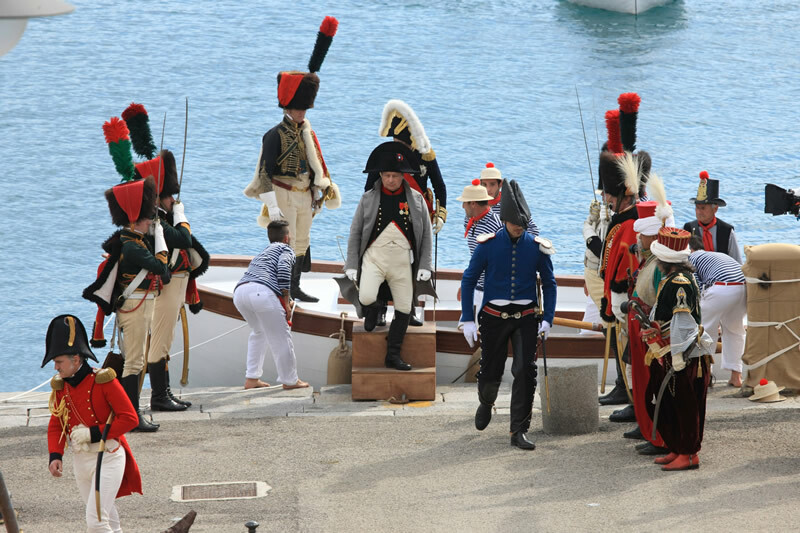 Napoleon saluted the Old Guard and, risking being lynched, crossed the south of France and boarded ship at Marseille. 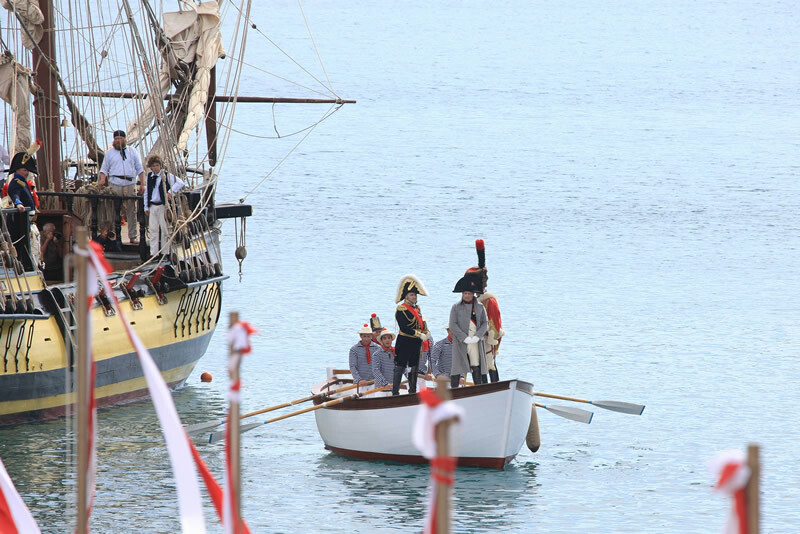 On 3 May, Napoleon reached the Gulf of Portoferraio, still unaware of how he would be welcomed and live on the island. He officially disembarked on 4 May, on the pier opposite the Gateway to the sea. He was actually received by the locals with great enthusiasm, and his stay brought fervour to the whole island. For his lodgings, Napoleon decided to refurbish some administrative and other buildings, located between Forte Stella and Forte Falcone, the current complex housing the Palazzina dei Mulini. He then restructured Villa di San Martino, near Portoferraio, as a private residence. Although the Empress Marie Louise never came to Elba, Napoleon was not alone, and Maria Walewska, his attractive Polish lover, visited for a few days. 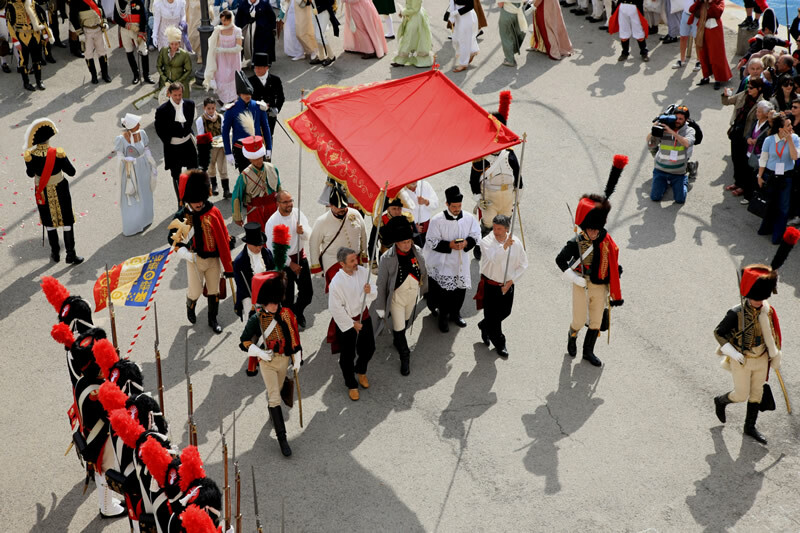 On the first of September 1814, Maria Walewska, accompanied by her sister and brother, reached Elba with the son fathered by the Emperor, little Alexander, and stayed at Madonna del Monte, where the Emperor loved to rest and gain inspiration. His mother always stayed close to him, and Napoleon immediately set up her lodgings near the Palazzina dei Mulini, in the Casa Vantini in Via Ferrandini, where a stone plaque still commemorates this important guest. The third woman who brightened up Napoleon’s time on Elba was Paolina Borghese, his sister. In truth, the beautiful Paulette enlivened life on the island in general as well as her brother’s, bringing damsels, tailors, fashion, coquetry, masked balls and Parisian feasts to her small new court. She filled the rooms in the Palazzina dei Mulini originally set aside for Marie Louise with flowers, cages, birds and dolls, on the basis of her capricious taste, making her a “fairy tale queen”. As well as refurbishing these buildings, Napoleon also made improvements of a public nature: he dealt with the stray dogs, public hygiene and the construction of new roads. The port of Portoferraio became unusually animated, and the influx of visitors who wanted to meet the Emperor was significant. 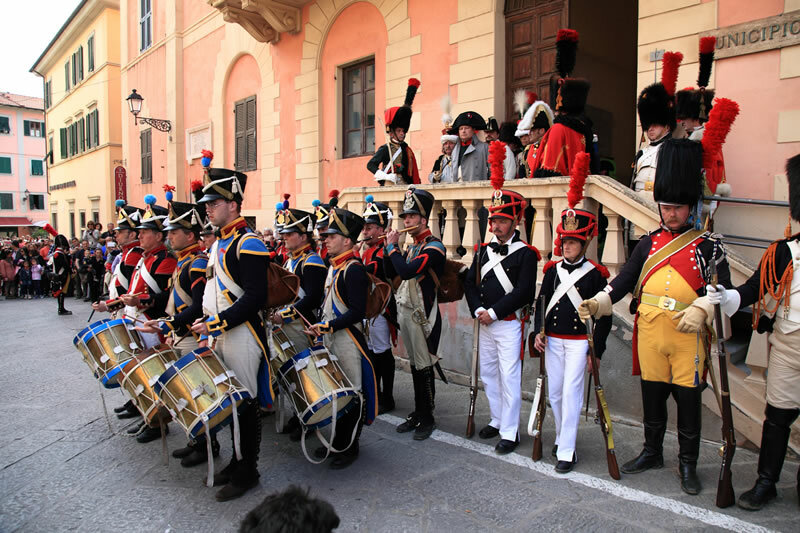 In addition, the large quantity of goods and supplies for the court and military personnel significantly increased trade and Portoferraio in particular benefitted from this. Meanwhile, the European political scene was beginning to alarm the Emperor, who was informed that during the Vienna Conference, the intent had been shown to confine him somewhere else, and he was forced to plan an escape again, this time from his own island of Elba. Napoleon secretly left Elba on 26 February 1815 – after staying there for less than a year – after the Carnival ball thrown at the Teatro dei Vigilanti, which he has reconstructed from the deconsecrated Chiesa del Carmine, and is still the main theatre on Elba. 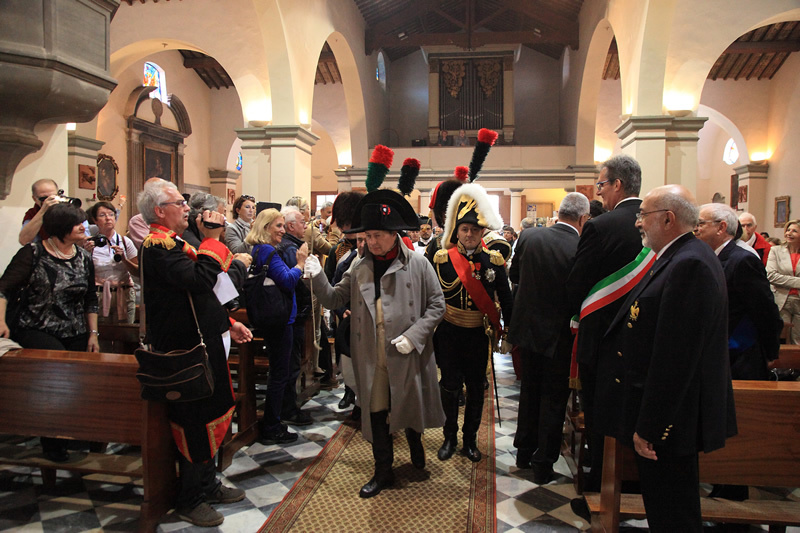 The people of Elba have retained close ties to Napoleon, so much so that a suffrage mass is celebrated on 5 May every year at the Chiesa della Reverenda Misericordia in Portoferraio. 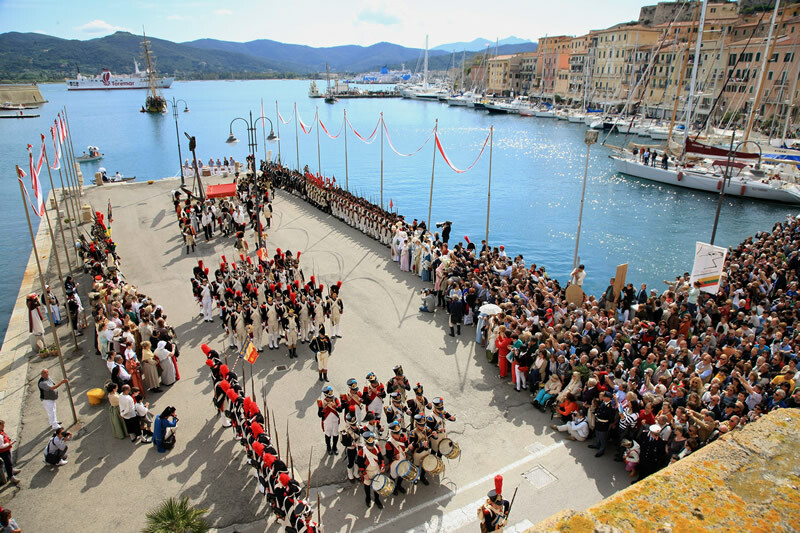 This year, the celebrations were dedicated to him as a celebration of the bicentenary of his arrival on the island of Elba. This is a chance to relive moments of history and open the doors of monuments and buildings that were refurbished and restored by him, and also brings to light some new curiosities, such as his favourite plates, the walks he used to take and the things he loved to observe.